A highly interactive, menu-driven program designed to teach, by investigation, the important principles of cellular respiration and is based on a series of experiments which may be performed on isolated rat liver mitochondria in vitro. It is divided into three main sections. The Introduction section uses text and high-resolution colour graphics to provide tutorial support for students and describes the structure and function of mitochondria, glycolysis, the TCA cycle and oxidative phosphorylation. 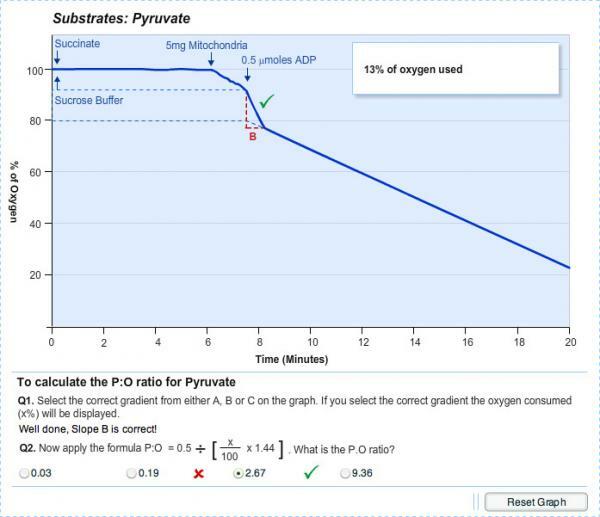 The Methods section covers the experimental apparatus used to measure mitochondrial oxygen consumption and ATP formation, the principles of using an oxygen electrode, the techniques used to isolate and prepare a viable mitochondrial suspension, and an explanation of how to take measurements from the program display and calculate ADP:O and respiratory control ratios. A highly interactive program designed to teach, by investigation, the important principles of cellular respiration. 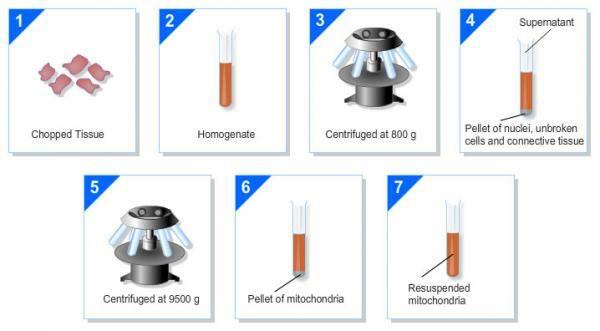 The program is based on a series of experiments which may be performed on isolated rat liver mitochondria in vitro. It is divided into three main sections. The Introduction section uses textual descriptions and high-quality graphics to provide tutorial support for students. It describes the biochemistry of respiration (glycolysis, the TCA cycle and oxidative phosphorylation), electron transport (electron transport chain, chemiosmotic theory, stoichiometry) and the structure and function of mitochondria, The Methods section covers the experimental apparatus used to measure mitochondrial oxygen consumption and ATP formation, the principles of using an oxygen electrode, the techniques used to isolate and prepare a viable mitochondrial suspension, and an explanation of how to take measurements from the program display and calculate P:O and ACR. Target Audience: Undergraduate students from a range of biological/biomedical coursess in which biochemistry is a significant component.